Nestled just south of Prospect Park, Ditmas Park is one of Brooklyn’s best-kept secrets. This peaceful residential neighborhood will have you wondering if you took some sort of magic train back to a time when things were slower and the milkman came on Mondays. Enchanting historic homes take the place of dull apartment buildings and green lawns replace rusty fire escapes. It’s got the charm of Mister Rogers’ neighborhood mixed with the vitality and diversity of Brooklyn. It’s the perfect place to escape for a day, especially if you’re not looking to go so far. 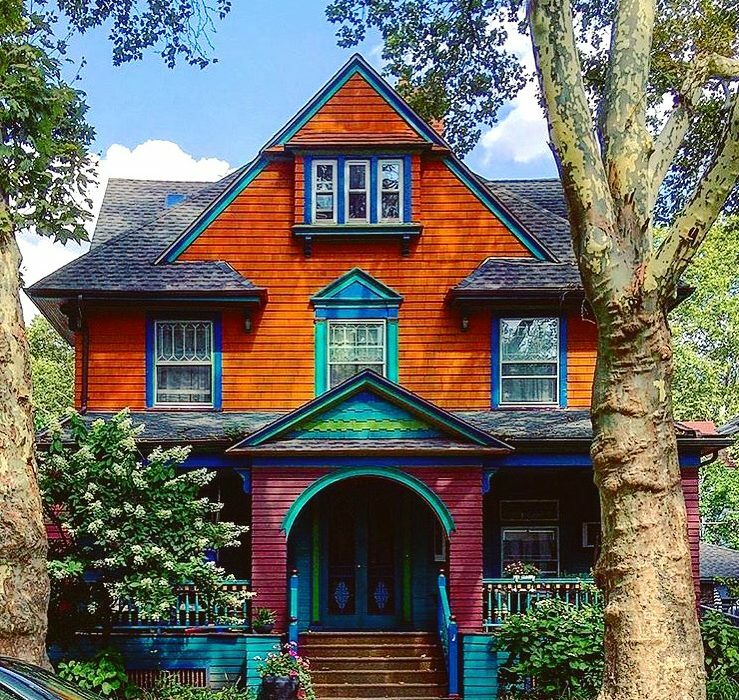 From local haunts to must-see architectural gems, we’ve compiled a few of our favorite things to do and see in Ditmas Park. Every once in awhile, New Yorkers need to be reminded of the shape of a house and the smell of freshly cut grass. 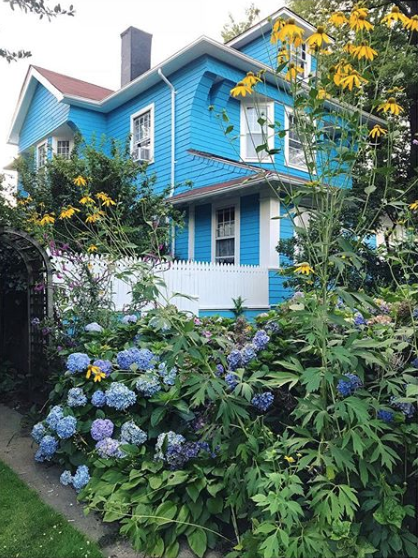 A walk through Ditmas Park is just the right dose of suburbia needed. The homes are full of life and their unique styles make it one of the most architecturally diverse neighborhoods in the city. Colorful Victorians rub shoulders with stunning Greek Revivals and no two homes are alike. 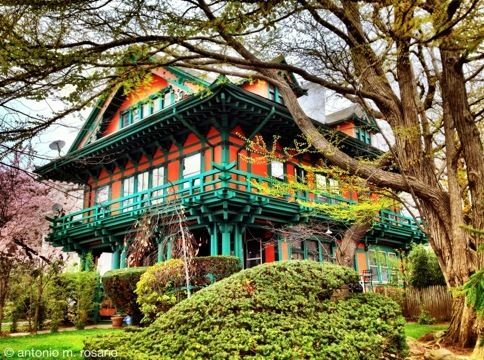 Must-see houses include the imaginative Japanese house at 131 Buckingham Road and the regal G. Gale House at 1305 Albemarle. 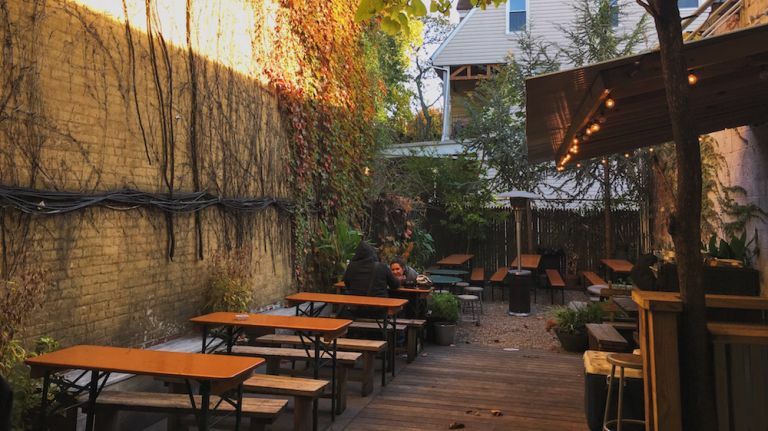 Situated on Cortelyou, the main drag of Ditmas Park, you’ll find several places to grab a bite. 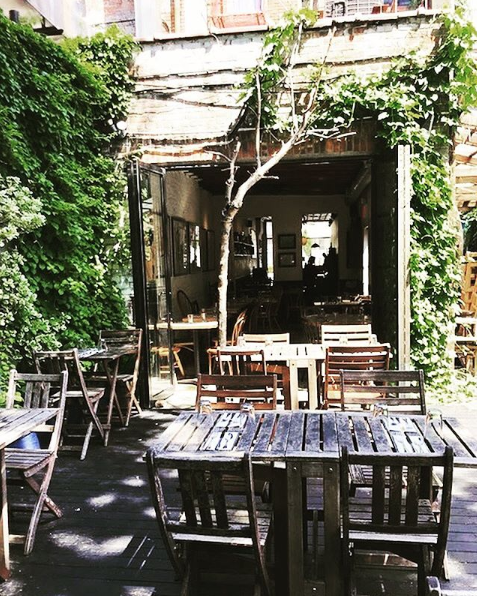 You can’t go wrong with The Farm on Adderley. Since opening a few years back, it’s become a local favorite.The cozy rustic atmosphere and fuss-free farm-to-table menu make it hard to resist. 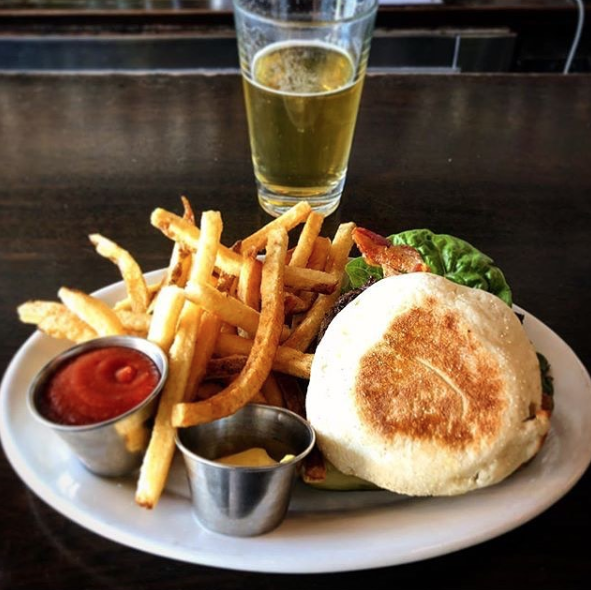 The English muffin burger served with hand cut fries is calling your name. Why not pop into Brooklyn ARTery to pick up some one-of-a-kind locally made goods? This thoughtfully curated shop showcases a wide array of Brooklyn made products. 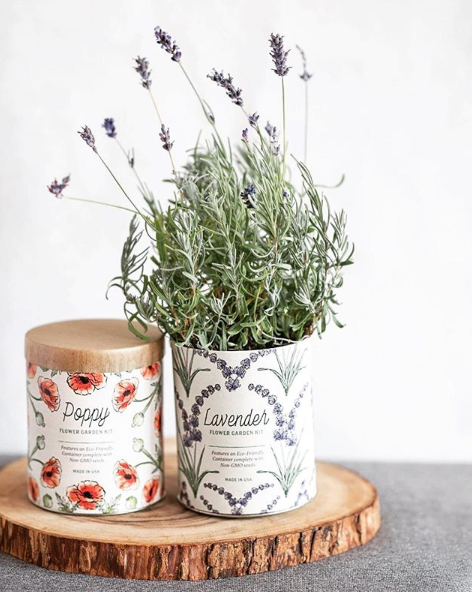 Buy some small batch honey, a colorful knick knack you never knew you needed, or a quirky last minute gift for your friend’s birthday. 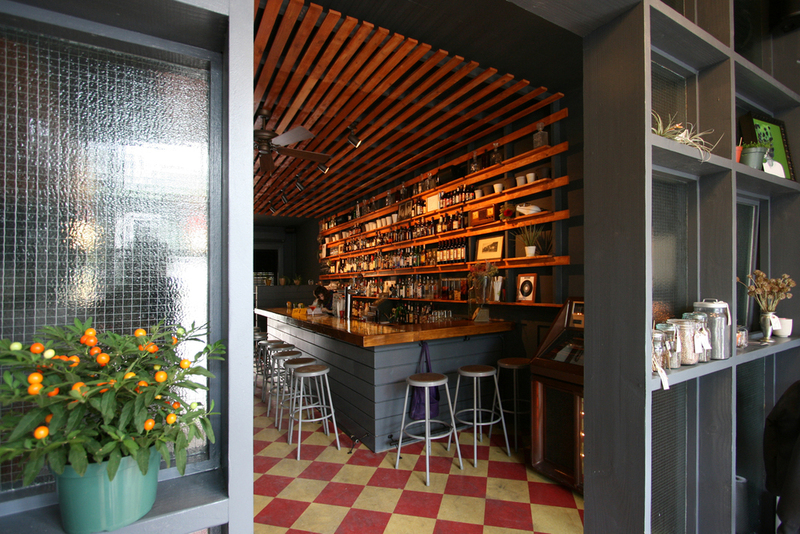 If you’re in the mood for a glass of red or a hoppy IPA, make your way to Sycamore Bar & Flower Shop. 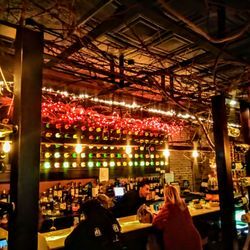 The cozy wood interior, friendly staff, and inviting back patio make it all the much easier to kick back and enjoy a drink. Make your way to Machego to indulge in some tasty tapas and Spanish staples. Stay for a quick meat and cheese plate or stick around for a portion of Paella, the choice is yours. After dinner, walk a short 15 minutes to the beautifully renovated Kings Theatre to catch a show. 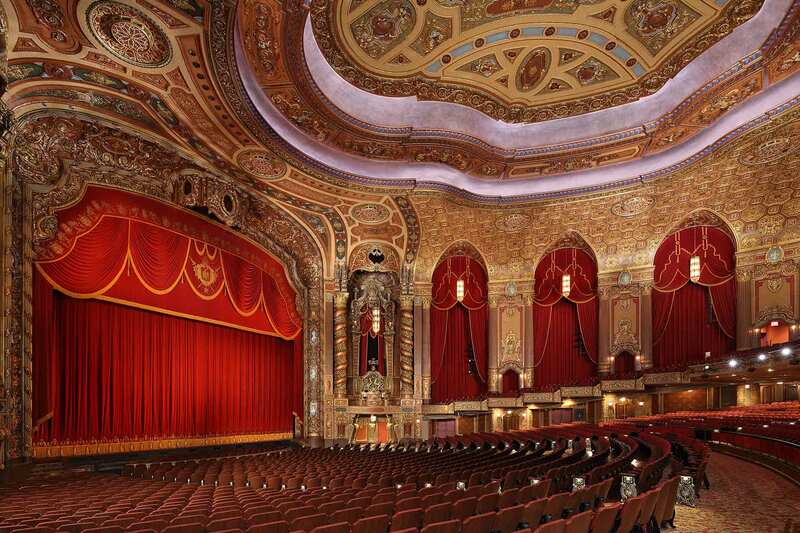 The ornate interior is truly eye-catching and their shows cater to many tastes. Just make sure to buy your ticket online beforehand so you don’t walk into a sold-out venue.